Italy is very important to me. It’s the country where my adored exchange student family is from. This is where I lived for 6 months as an exchange student when I was 16. This is where I returned to as a 19 year old and again as a 22 year old. This is where I felt loved and valued, and embraced as an Australian sister. Back then Italy taught me how to short sheet a bed, (well actually my sister did). I tell you hours of giggly fun for two 16 year olds in there! Italy taught me the love of the espresso. Still to this day 16 years later, when ever I hear and smell that stove top espresso pot percolating quietly I am transported back to Italy. Italy also taught me the love of the simple margarita pizza. Pizza was never the same again. If only I had had the interest of food that I have now back then. 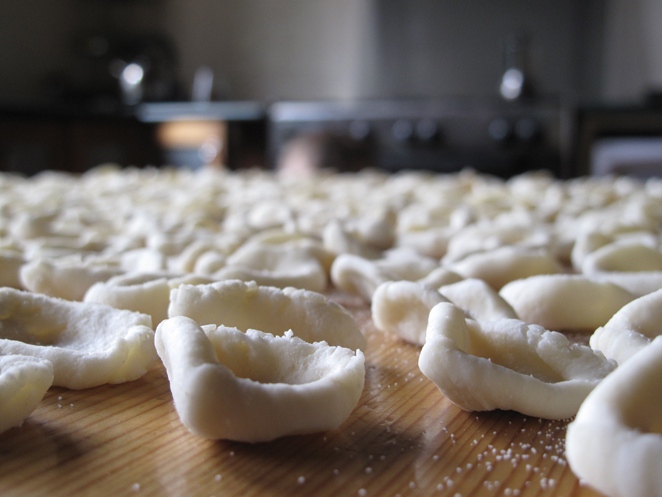 If I did I would have asked Nonna just how exactly to make those delicious Pugliese thumb pressed pasta pieces, known as orecchiette. I ate it with gusto. If only I had the foresight to ask how she made it 16 years before. I would kill now for a hands on pasta lesson from Nonna in the beautiful region of Puglia. Quietly, and methodically rolling and knifing. It was so quiet. The laugh of a far off kookaburra, the air outside so still, and the pesistant buzz of wandering fly. Knead, cut, roll, slice, knife…..knead, cut, roll, slice, knife…. until half the table was filled with many beautiful ‘little ears’. These are the quantities that I ended up using, which produced some happily eaten pasta. Possibly would vary with the type of flour that you use- so go slowly and jiggle. 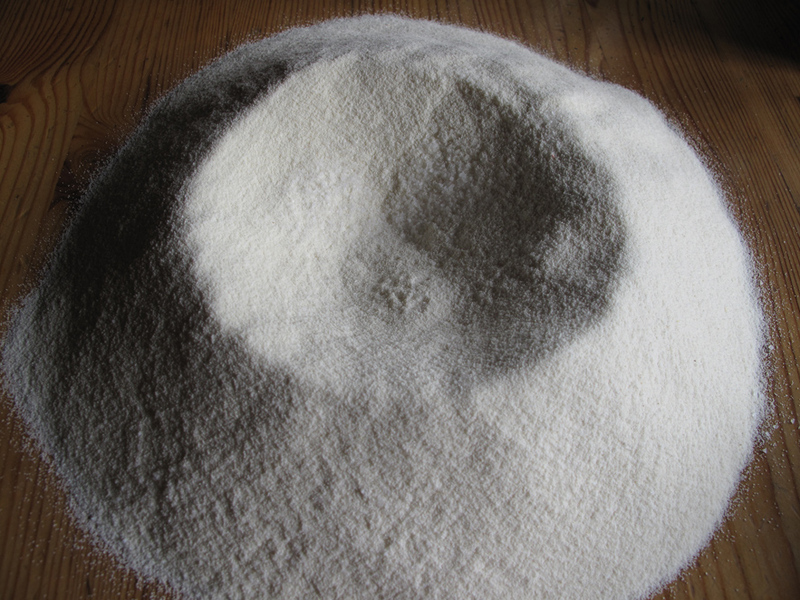 Make a well on the bench with the flour and salt, slowly pouring in the water and mixing it to a stiff dough. Knead until smooth. 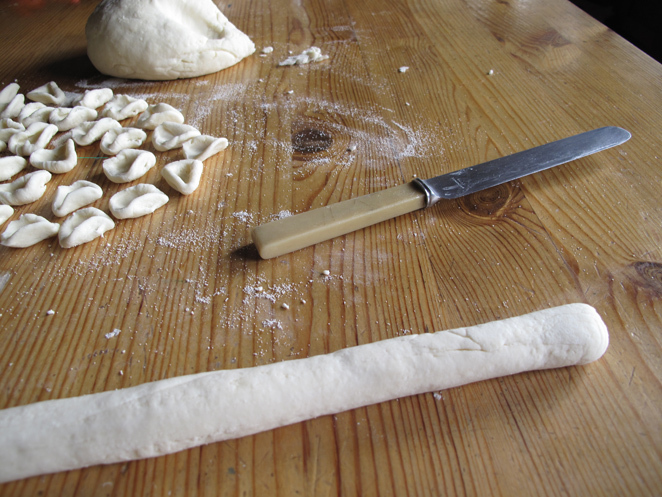 Cut off a portion, then roll into a long snake, then slicing off small portions. Then pressing down with a knife, push until the little circle starts folding in and looks like a thumb hat. It needs quite a bit of pressure. Orecchiette should be thiner on the bottom with thicker sides to hold the sauce. This is not a smooth pasta. Would Nonna approve?… not sure. Does it look right?… a little ‘rustic’ but passable. Would it pass the Italian taste test?….? Will I make them again?….. yes indeed. This entry was posted in Food Glorious Food and tagged food, hand made pasta, life, orecchiette pasta recipe by cityhippyfarmgirl. Bookmark the permalink. They look perfect! What sort of sauce did you serve them with? Thanks 🙂 I served it with just a simple tomato, garlic, olive oil sauce, and some parmesan. It’s getting cooler here and I feel a bout of pasta making coming on now! 😛 It looks wonderful! I think they look perfect! You make pasta making look so approachable too. Thanks everyone. It really was a lovely way to spend a couple of hours. Trouble is, now I want more! 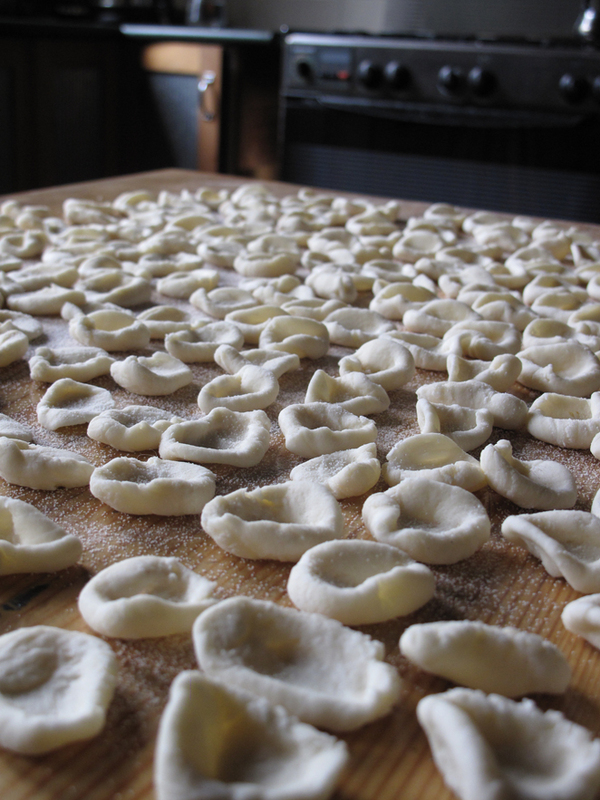 Thats what prompted the whole orecchiette making- watching italian food safari. It is a great show. I’m still mourning the loss of Gourmet Farmer but its not a bad substitute. As I am Italian and as my Nonna makes “orecchiette”, but above all because you are my Australian sister I can say that they look BELLISSIME and I am sure they are BUONISSIME, too. che sorpresa questa tua abiilità nel fare le orecchiette! Il vero condimento è l’amore fatto di pazienza e calma, la salsa va solo a completare il” dono” che metti in tavola.